S.S. Steel Limited IPO Lottery Result has been published and found here. S.S. Steel Limited Subscription Open from October 28, 2018, and Close on November 07, 2018. S.S. Steel Limited IPO Lottery Result updated. Download S.S. Steel Limited IPO Lottery Result that will be published & found here. IPO or an Initial Public Offer (IPO) is the first sale of a stock by a private company to the public company. In this way, a company can increase money by issuing either debt or equity. IPO or Share market inauguration is a type of public offer in which shares of a company generally are sold to the predictable investors that in turn, sell to the general public by a securities exchange for the first time. S.S. Steel Limited IPO Lottery Result found here. Bangladesh Securities and Exchange Commission (BSEC) has approved the initial public offering (IP O) of S.S. Steel Limited on 26 June 2018 at their 648th board meeting. BSEC approved the IPO of the company to raise capital of Tk 25 crore from the market through Fixed price method. According to the Financial Statement ended on June 30, 2017, SS Steel’s Net Asset Value (NAV) per share stood at Tk. 12 (without revaluation), whereas the weighted average of Earning per Share (EPS) was Tk1.20 According to the Financial Statement ended on June 30, 2017, SS Steel’s Net Asset Value (NAV) per share stood at Tk. 12 (without revaluation), whereas the weighted average of Earning per Share (EPS) was Tk1.20. Citizen Securities and Investment Limited have acted on behalf of the company’s issue manager. The company’s IPO fund will be used to purchase machinery, to repay bank loans and to bear IPO expenses & IPO related other relevant expenses according to the IPO prospectus. S.S. Steel Limited IPO Lottery Result 2018 has published on 29 November 2018 & found here. Download S.S. Steel Limited IPO Lottery Result from here. After ending of application of Initial Public Offer (IPO) from 28 October 2018 to 07 November 2018. S.S. Steel Limited IPO Lottery draw held on 29 November 2018. Place: Engineering Institute, IEB Millaniton, Ramna Dhaka at 10:30 A.M. The IPO results will be published on the websites of Dhaka Stock Exchange (DSE), Chittagong Stock Exchange (CSE) and the company’s website after the lottery programmed. See the Result below. SS Steel began commercial operations on December 22, 2001. The company is located in the Tongi Industrial Area, Gazipur, and its principal activities include the manufacturing of 500W MS-Deformed Rods, MS-Ingots, and steel for the reinforcement of concrete. The Bangladesh Securities and Exchange Commission (BSEC) has approved the initial publication of S.S. Steel (IPO) for withdrawing money from the stock exchange. This approval has been given in 648th regular meeting of the Commission. Tuesday (June 26th) BSEEC executive director and marketer said. This information was revealed in a press release signed by Saifur Rahman. According to the Financial Statement ended on June 30, 2017, SS Steel’s Net Asset Value (NAV) per share stood at Tk. 12 (without revaluation), whereas the weighted average of Earning per Share (EPS) was Tk. 1.20. Citizen Securities and Investment Limited is responsible for the company’s issue management. Principal Products: Product quality is ensured throughout the manufacturing processes i.e. Billet producing, Re-Rolling process, Cooling and stocking of finished re-bar etc. Our production department & process has strict adherence to follow proper quality control requirements. We care for the PEOPLE as-well-as for ENVIRONMENT. We protect the nature through recycling used iron and steels. We ensure proper Refining Process through state-of-the-art technology in our European Production Plant, STS (Italy) which is the pioneer in Bangladesh. 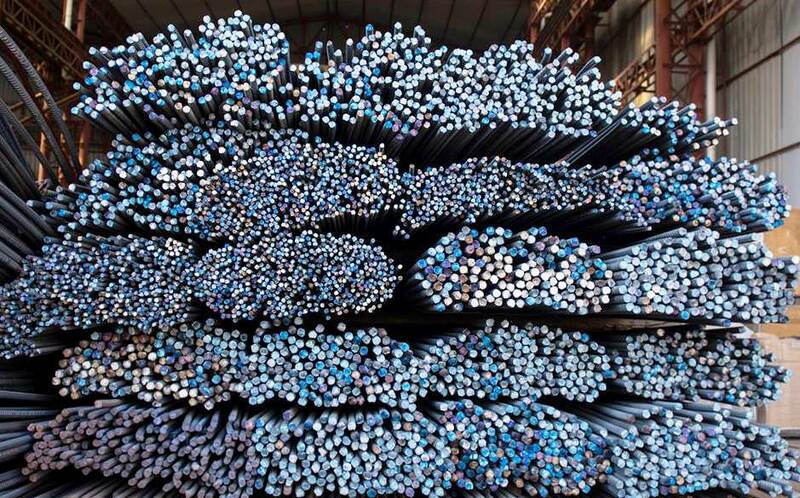 S.S. Steel Limited is mainly engaged in manufacturing of high class TMT Bar in Bangladesh and marketing and selling of product in the worldwide and domestic Market. The installation of a high capacity air conditioning and filtration plant has enabled the mill to meet the international standards. A team of experienced professionals are committed to ensure customer service through the manufacturing of quality re-bars and prompt delivery. We believe in sustainable success through client’s satisfaction. If you want to get the available information regarding “S. S. Steel Limited IPO Lottery Result” please always stay and follow this site Common Target.